Our color spotlight of the day is… Golden Fantasy granite! This spectacular stone is made up of a mixture of gold, brown and gray colors. Its golden background is dominant and is accented with splashes of browns and grays. It stands out because of its soothing colors and unique swirling patterns. If you look at it closely, you will notice that there is a harmonious balance between all of the color combinations. The random specks of black that you also see gives it a different and unique style. Unlike other colors, Golden Fantasy granite creates a feeling of warmth and richness when used as a countertop for your kitchen or bathroom. The natural beauty found in Golden Fantasy granite is showcased when paired with cabinets that have dark shades such as black or brown. This combination will achieve an elegant and contemporary look for your kitchen that will increase the value of your home. On the other hand, this stone can also look amazing when paired with cabinets that have lighter shades such as white or cream. This pairing will achieve a classic look and feel for your kitchen. Using this granite color for your next bathroom or kitchen upgrade will give you an incredible number of decorating options when choosing a design and look for the area. With the neutral colors in the stone, you can change your decorating style as often as you like, without having to change your countertops. Golden Fantasy granite is one of the most popular choices among our slabs of granite! 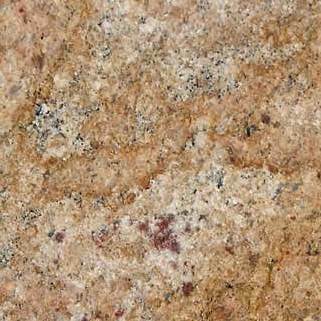 Its unique characteristics allows it to stand out among all the other colors of our granite. If you are planning or thinking about a new look for your kitchen or bathroom, then this is the perfect stone for you! Explore the limitless possibilities of designs with Golden Fantasy granite! Give us a call or visit one of our showrooms today to reserve your slab!